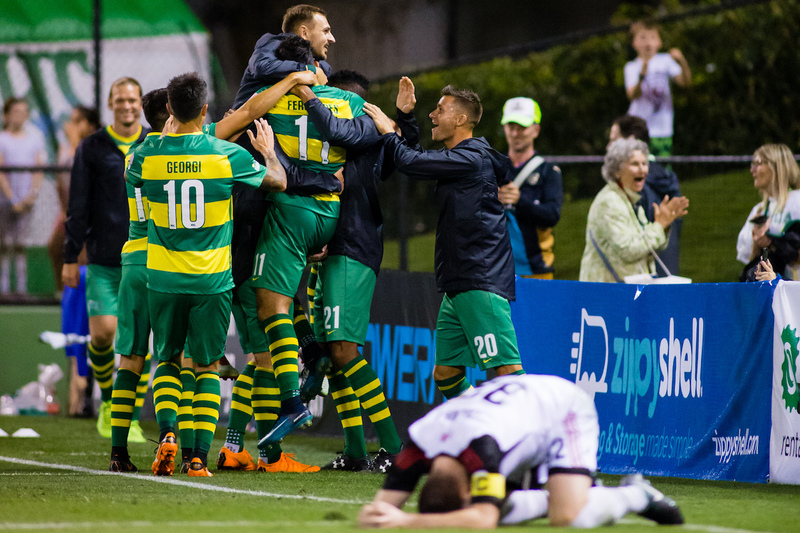 ST. PETERSBURG, FL — Coming into Saturday night’s match against Ottawa Fury FC, beating an opponent by a score of 5-0 was something the Tampa Bay Rowdies hadn’t ever done in the Modern Era. With the clubs still deadlocked at 0-0 an hour into the match, it didn’t seem like Saturday night was going to change that. But then the Rowdies woke up. Rowdies Joe Cole (26) scored his first goal of the season tonight. A five-goal explosion over the course of the final 30-plus minutes carried Tampa Bay to its first 5-0 win in the Modern Era in thrilling fashion as the home team simply had too much firepower for Ottawa to handle. Neither team created much to speak of in the first half, with Ottawa (0-2-0, 0 points) putting in a typically gritty performance. At the hour mark, the Rowdies were still waiting for the breakthrough when Hristov provided the go-ahead goal, heading a Marcel Schäfer cross past Callum Irving to put the Rowdies up 1-0. It was Hristov’s third goal of the season and he now trails Derek Smethurst by only one goal for the all-time Rowdies scoring record of 57 goals. From there, it was all Rowdies. 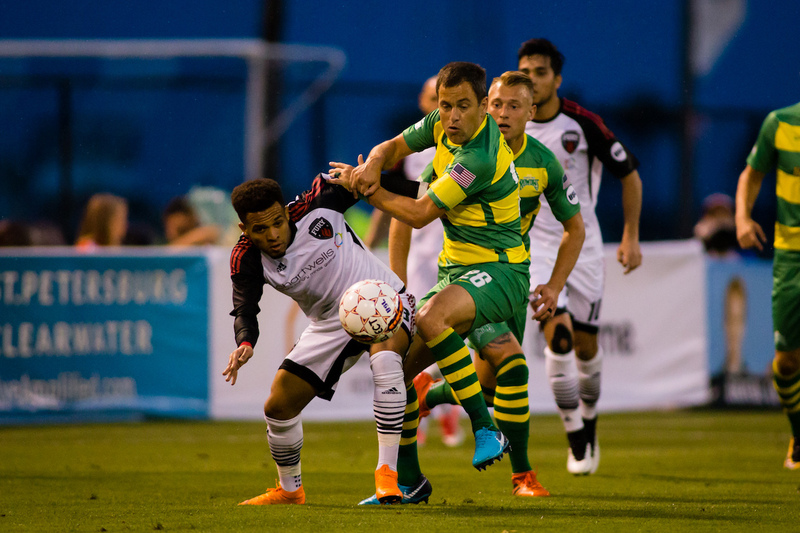 Leo Fernandes got his name on the scoresheet in the 71st minute, putting a shot on goal that Fury FC center back Chris Mannella forced into his own net, giving the Rowdies a 2-0 lead. Fernandes scored his second goal of the match — and team-high fourth goal of the season — in the 79th minute, beating his defender with an eye-popping stepover, before firing past Irving from a sharp angle for a 3-0 Rowdies lead. Joe Cole made it 4-0 in the 87th minute, finishing a pass from Jack Blake for his first goal of the season. After Ottawa’s Onua Obasi was sent off for stomping on Sebastian Guenzatti’s ribs in the 90th minute, Zac Portillos provided the nightcap for his first professional goal. Portillos headed a cross from Fernandes to complete the scoreline at 5-0. Up next, the Rowdies travel to New York Red Bulls II next Saturday afternoon before returning home to host defending Western Conference Champions Real Monarchs SLC at Al Lang on Saturday, April 21.